Mascot is a companion that can be brought along with you in game. You can level up your Mascot and unlock functions. 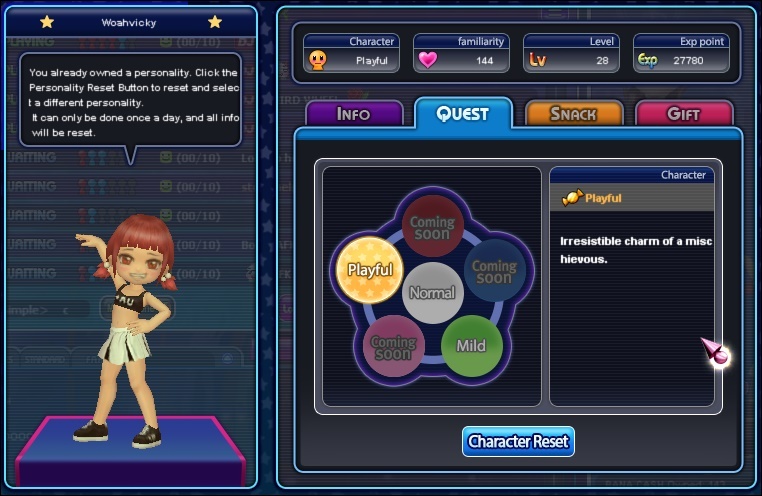 Mascot can have its own personality; grant your Mascot a personality by clearing the personality quest! 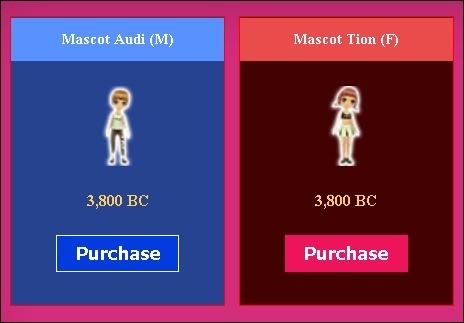 Both Male and Female Mascot can be purchased. However, only one of the Purchased Mascots can be brought along with player. Period of Mascot is 7 days, also for their clothes. Snacks can be purchased to feed Mascot to increase its intimacy. 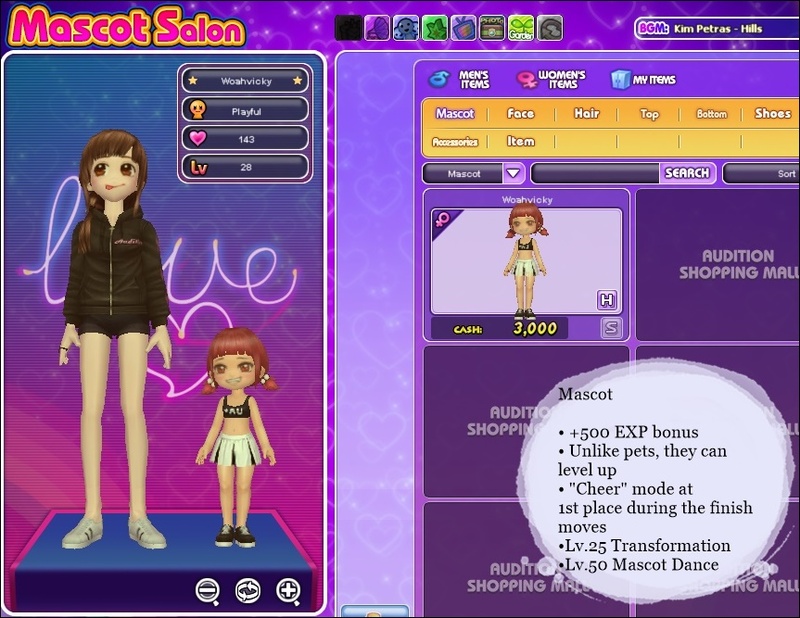 To apply your Mascot, you can enter the Mascot Salon through Shopping Mall. 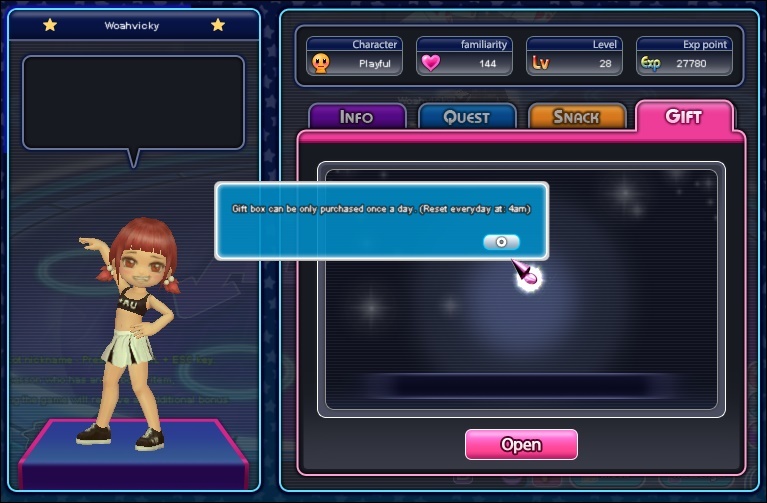 • Personality can be chosen by clearing the quest from QUEST TAB. • Type of Quest accepted will determine Mascot’s Personality. Quest can be abandoned and accept another again. 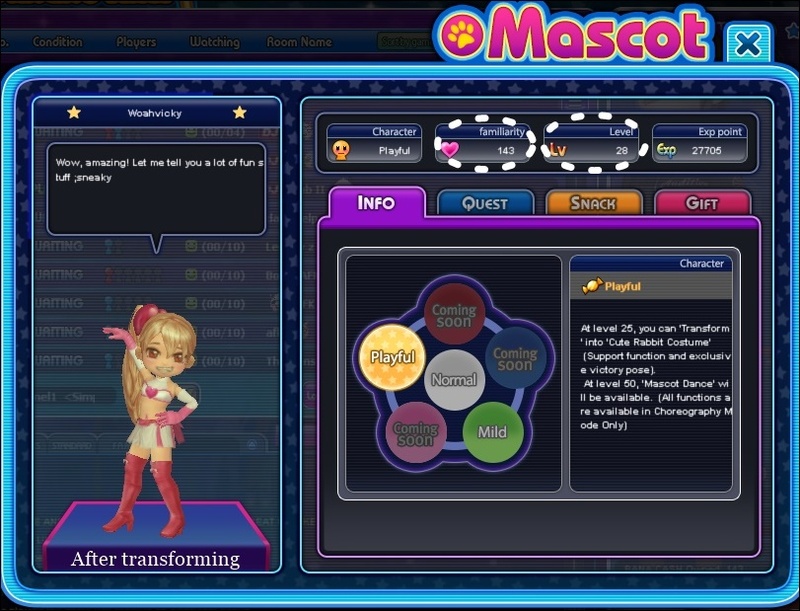 • After the personality quest is done and the Mascot’s personality is set, INFO, SNACK, and GIFT TAB will be unlocked. You can open the gift box once a day. Rhythm Holic, Block Beat, Boy’s & Girls, Perfect Champion. • Stay online – Stay for more than 30 minutes. • Offline for a certain period will result in intimacy decay. • Not rebuying the Mascot will also result in intimacy decay. • Displayed in Mascot’s INFO, functions will be unlocked upon reaching certain levels. 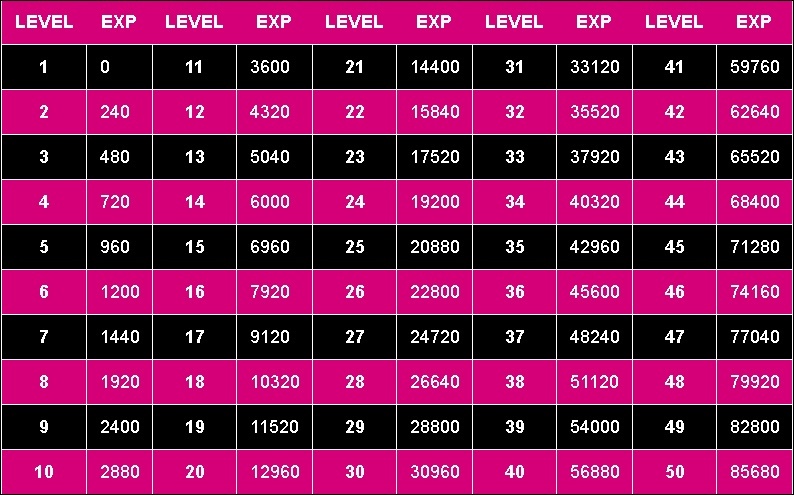 • Mascot level EXP can be obtained by playing any mode that can obtain intimacy. • “Transform” Function will be unlocked when Mascot reaches Level25 (the image above). • Reset at 04:00 AM every day. Cheer Mode” will be available when the player is at 1st in the game. “Mascot Dance” Function will be unlocked when Mascot reaches Level50. • No limit of the number of Mascot Dance. 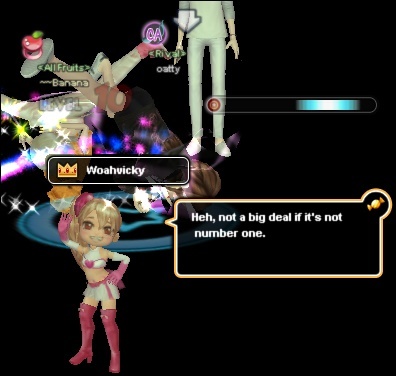 Win 1st place in a room where you can increase its intimacy, an animation will be displayed during the transformation by the end of the game. Wow queen thanks for the guide ❤❤. Maybe WoahVicky and Kulture can hang out some time .